Rank All Convertibles by Horsepower. Just one of the many things possible with the Rank-By-Specs Compar-A-Graph! Using a radical new aluminum-bonded frame, the 2+2 DB9 is one of the most sophisticated and technically advanced sports cars in the world. It successfully balances the attributes of a sports car with features normally found on luxury cars. In a long list of technological innovations, the most important is the bonded aluminum frame. Aston Martin believes it is the most structurally efficient body frame in the car industry. The new Aston Martin VH (vertical horizontal) aluminum structure gives immense benefits. It is very light, aiding performance, handling, economy and durability. In the new DB9, the V12 engine has been fitted as far back and as low as possible, to assist agility and handling. This helps the DB9 achieve its perfect 50:50 weight distribution. The engine produces maximum power of 450 bhp @ 6000 rpm and 420 lb.-ft, of torque 5000 rpm. 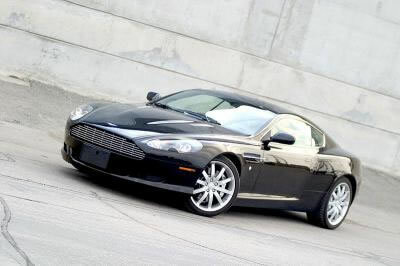 The DB9 will accelerate from 0-60 mph in 4.7 seconds and reach a maximum speed of 186 mph.